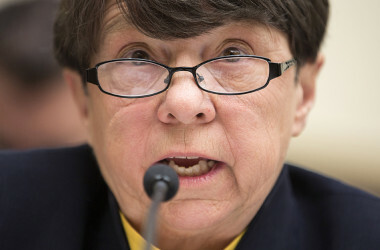 In what might be her last major speech to members of the broker-dealer community as the Obama administration winds down and gets ready for the closing bell, SEC Chair Mary Joe White addressed a Washington DC gathering of the Securities Traders Association this week and talked about BDs favorite topic: equities market structure. 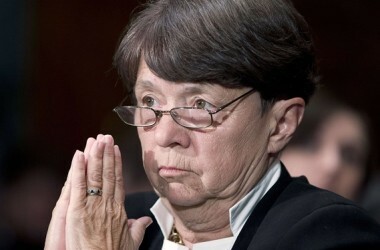 After taking a few accolades for approving Finra-recommended regulations that require software developers of algorithmic trading tools to be registered and licensed just as securities traders, Ms White summarized her accomplishments and forward looking perspectives regarding SEC efforts to address inequities in the equities market structure. SEC Mary Joe White has a dream, and even if she aspires to leverage the inspirational outlook of Dr. Martin Luther King, securities industry members are debating whether her dream could prove to be a reality any sooner than the civil rights agenda expressed by Dr. King so many years ago. In a series of comments during the past several weeks from Chairperson White regarding the SEC’s agenda for the remainder of her tenure as President Obama’s designated SEC Chairperson, Ms. White, who is operating with only 3 of 5 Commissioners until two open vacancies are filled before the Second of Never, she is vowing one of the top three items on her list includes “better understanding exchange-traded funds aka ETFs before the SEC approves prospectuses.” That makes sense. One only wonders why that elementary concept had never occurred to any one previously—despite repeated calls from among others, former SEC Commissioner Steve Wallman (1994-1997) who has long questioned the approval process for many of the complex exchange-traded products the SEC has rubber-stamped, including inverse and commodities-related products that even professionals often do not understand. Since his departure from the SEC, Wallman has proven adept at doing the right things while serving at the helm as Founder/Chairman/CEO of the investment firm Foliofn.com. Directly and indirectly, Wall Street firms and its executives contribute hundreds of millions of dollars every year to lobby SEC Officials and members of Congress(which the SEC reports to) on behalf of their interests—which presumably includes two big drivers that have driven the investment industry since the days of Joe Kennedy Sr.: (i) selling investment vehicles that look great on paper and in marketing collateral [even if they might or might not prove to be toxic at some point and might or might not be appropriate for a specific individual given that people’s moods change a lot] (ii) how to pay the mortgage on the brokers’ first house, the $200k for each of their kids college tuition bills, the country club memberships that provides venues in which to sell those investment products, sharpen up the golf game, and of course, pay for the second and third homes, etc etc. 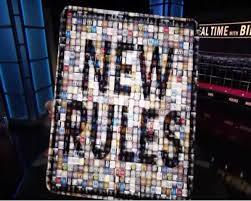 Another item on White’s laundry list is to expand the exam program for registered brokers and advisers. Currently, 10% of the nearly 12,000 advisers sit and take ‘refresher tests’ that are abridged versions of the Series 7—an exam that has approximately 40% brokers FAIL the first time and 30% fail the second time. Some could argue the test is maybe too difficult, given the national average score is 67 vs. a passing grade of 72. Or, one could argue the barrier to entry to become a registered broker or adviser is simply being a good test taker. Idiots and Muppets can get licensed, as long as they take 8 practice exams the night before the actual exam and memorize the correct answers. So, Chairperson White wants more folks taking more tests; a good thing for the SEC because this is big a revenue-generator for the Agency—which has repeatedly claimed it does not have enough money to even pay for air conditioning in its Washington DC office. Staff members have said this alone is vexing, given that SEC examiners and enforcement agents have become accustomed to keeping windows wide open five months of the year and continuously grapple with files on their desks blowing out of their windows and many of those files pertain to complaints filed by investors and updated paper notes sent by from enforcement agents in the field via courier pigeons. BrokerDealer.com blog update profiles what could be a watershed moment for the broker-dealer community: BDs can now ‘recommend’ to clients to buy, sell or hold exchange-traded-funds (ETFs) without having to c0mply with long-established Finra and SEC rules with regard to research. MarketsMuse ETF update profiles just-passed-by-Congress legislation that offers a sigh of relief for broker-dealers who aspire to frame ETF recommendations within the context of research (which might qualify them for ‘buyside research votes’), but have held back from issuing a buy, sell or hold recommendation for ETFs out of fear of Finra and/or SEC staffers sanctioning them. Brokerdealer.com blog update courtesy of extract from Investment News. NextShares is a product that some want to eventually replace mutual funds. 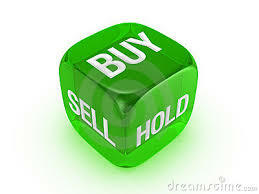 NextShares combine characteristics of mutual and exchange-traded funds. Like mutual funds, investors purchase shares in the fund at a price equal to the value of their underlying securities, plus a transaction fee. Like ETFs, they trade on exchanges and could benefit from the tax and other cost efficiencies associated with those products. For years, backers of NextShares have been working to get approval and earlier this week, securities regulators finally granted approval. Now it will have to convince Brokerdealers and financial advisers that it is in their interest to supplant a product responsible for a healthy portion of their current revenue. The backers of NextShares want to cause the extinction of mutual funds, a lucrative product for broker-dealers. “A lot of the firms we’ve spoken to are not really sure if they want to offer it at this stage,” said Bharat Sawhney of Gartland & Mellina Group, a consultant to broker-dealers on product offerings, strategy and technology platforms. “One of the bigger questions the firms have is if it will cannibalize their existing business. Investors will need to be informed by broker-dealers of the unique qualities of the funds when they trade, and they will place exchange orders in a way that differs from stocks or ETFs. In order to commit to NextShare and the changes it would bring, broker-dealers will need to see that consumers — both advisers and their clients — actually want the products, which are also known as exchange-traded managed funds. If they succeed in that regard, it wouldn’t be the first time client demand trumped the preferences of broker-dealers. If you want a Brokerdealer that will commit to NextShare then now is the time let your Brokerdealer know this is what you want or find a Brokerdealer that will. InterMune (ITMN - Snapshot Report) was a star performer in Monday trading session, as the stock skyrocketed more than a third on the day. The massive gain for this biotech firm came after the Swiss drug maker Roche Holding (RHHBY - Analyst Report) agreed to buy InterMune for $8.3 billion. As per the deal, Roche will pay $74 per share in cash, which represents 38% premium to the ITMN closing price as of August 22 and 63% premium to the price on August 12 when the potential takeover of InterMune was initiated. The deal is expected to close by the year end (read: A Comprehensive Guide to Biotech ETFs).